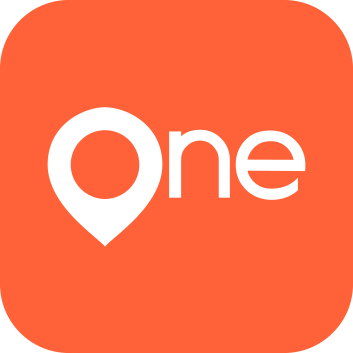 We have partnered with OneLocal to make ordering a taxi from us as easy as tapping a button. Able Taxi began in 1985 in Orillia, Ontario. Since the company's inception, it has seen the greater Orillia region grow and flourish as a proud and strong community. Over the years, Able Taxi has solidified itself as an important business in the local community and has garnered significant personal and professional relationships. Able Taxi prides itself on being a company full of knowledgeable locals — many whom have been raised in the region. Able Taxi has over 30 years of experience serving Simcoe County and all surrounding areas. We are open 24 hours a day, 7 days a week and provide old-fashioned taxi service. All of our drivers have in-depth knowledge of the city. We take pride in providing safe and reliable transportation to all of our patrons. Able Taxi utilizes new vehicles that are regularly cleaned and maintained. If you need a ride don't hesitate to call us. Able Taxi is driven on proper customer service, that serves Orillia and surrounding areas including: Oro, Oro-Medonte, Orillia, East Oro, Hawkestone, Coldwater, Medonte, Moonstone, Foxmead, Uhthoff, New Uhthoff, Barrie, Ardtrea, Atherley, Rama, Ramara, Brechin and Rathburn. Able taxi was voted the best taxi company in Orillia by readers of the Packet and Times! We want your business. We're Ready, Willing and Able! 24 hours a day 7 days a week. Did you know that we've been running 24/7 for the past 30 years? We never close! No matter what time of day, or day of the week, we're always here and ready to provide you with fast and friendly service. We want to be your taxi service provider. Ride with us and see for yourself why Able Taxi is better than the rest. We are driven on customer service and of course...Ready, Willing and Able! Let's say that you go to an event and you were planning on being the designated driver. You meet friends that you haven't seen in years and have a couple drinks. Now you can no longer drive, but you may not want to leave your car on the street. Solution? Call Able Taxi and ask for a "CAB & A HALF, PLEASE." We will send you one cab with two drivers. One will drive you home safely and the other driver will follow you in your own car. This is just one example of how this service may be useful. Able Taxi provides taxi services to local businesses requiring ‘to-and-from’ workplace transportation plans. Call to setup a Commercial Account. Able Taxi provides professional taxi services for organizations requiring transportation for corporate conferences, outings, meetings and holiday parties. We coordinate multi-car services to ensure that travelling is one less concern. Who says that nothing is free? Not at Able Taxi! We offer FREE WAKE-UP CALLS! You might wonder how this works — just call us at (705) 325-0632 and ask for a wake-up call. The friendly voice at the other end of the phone will only need to know the time to make the call and your phone number. It's that easy! At Able Taxi we offer out of town flat rates (in accordance with City of Orillia by-laws). No matter where you are going — Toronto, Sudbury, or even Vancouver! We have a flat rate for your destination. Let our friendly and safe drivers provide all of your transportation needs. Able Taxi provides trustworthy and reliable urgent parcel pick-up and delivery services. Call to arrange the details of your parcel transportation. Able Taxi provides a prompt and efficient Time Call service that allows customers to call well in-advance and book a taxi service for a certain event. If you're unable to find the answer to a particular question or would like to advertise with us, do not hesitate to contact us at any time. We will respond to your inquiry as quickly as possible.